Practical and stylish. 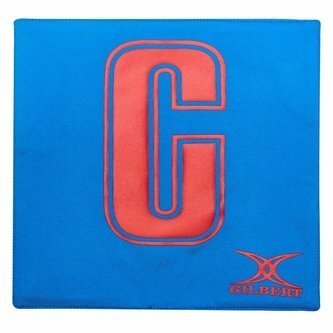 Get these Gilbert Netball Patch Bibs in Royal and Red to match your match day netball clothing. These bibs made by Gilbert come in new performance fabric. They have breathable eyelets for airflow to prevent overheating when the action on the court is heating up. Made from polyester this is a set of 7 bibs. Includes GS, GA, C, GD, GK, WD & WA.